Africa has finally received its first smartphone. The Yolo (yes, that&apos;s the real name) comes via Intel, whose Lexington Atom chip was announced at CES earlier this month, reports The Verge. 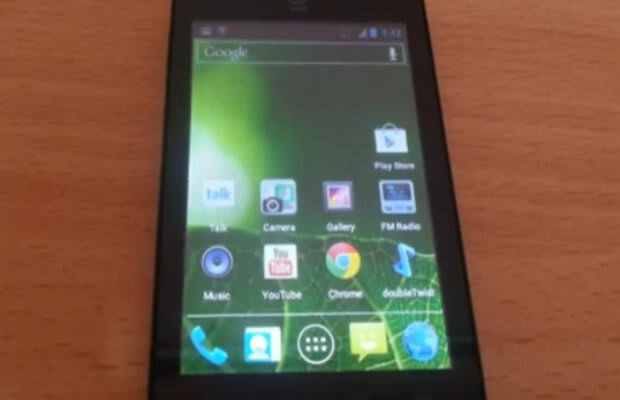 The phone will arrive in Kenya first, although a Xolo was announced for India last summer. As far as features go, the Yolo has a 3.5-inch screen and 1.2GHz processor, which roughly translates to "a pretty minimal 320 x 240 display and dual SIM support," notes The Verge. It can also run on Ice Cream Sandwich and hold battery charges longer "without sacrificing performance." The phone will run on the Lexington Atom chip software, Intel&apos;s platform for developing markets. Whether the phone will appear in other countries in the near future remains to be seen. For now, the Yolo will sell for 10,999 Kenyan shillings, or roughly $125, and come loaded with 500 megabytes of data for free.